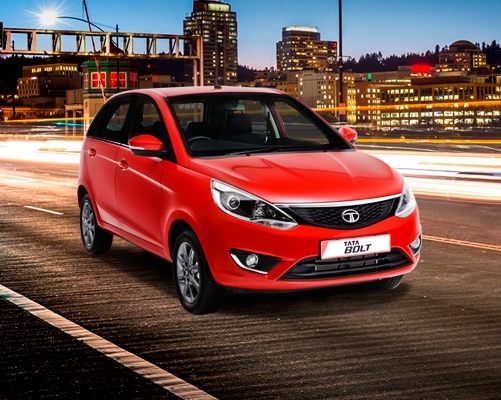 So we all know that the Tata Bolt is one of the most affordable new cars on the market, with stylish and budget conscious drivers opting for this zippy model in impressive numbers. Everybody is immediately tempted by the Bolt’s great features, good looks and affordable price tag, but tend to ignore one of the most financially influential factors in choosing a new car: fuel efficiency. Although most don’t realise it, having a fuel efficient car can save you many thousands of rands in the first few years you own a car, and even though we’re currently enjoying low petrol prices, we all know how quickly that can change. 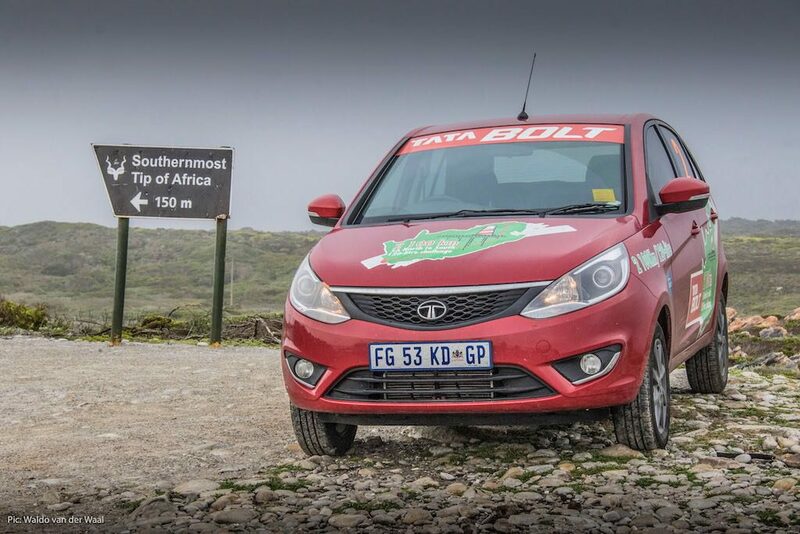 So just how fuel efficient is the Tata Bolt? 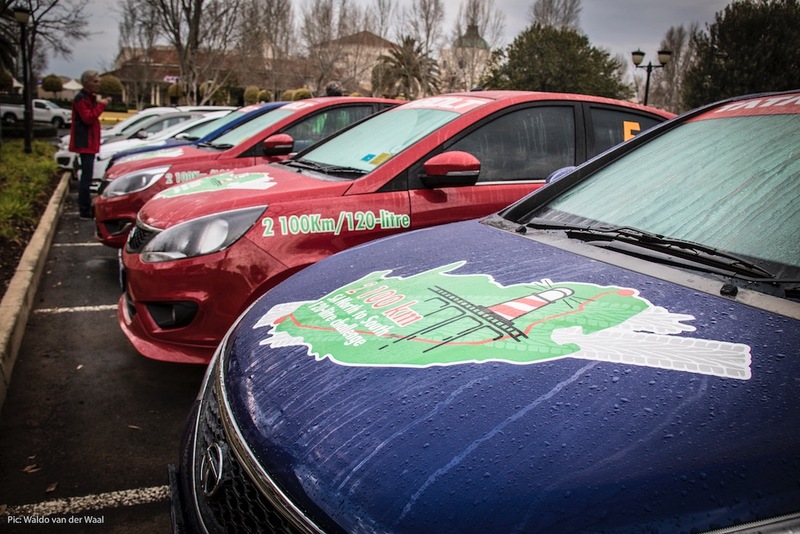 In order to get an honest appraisal from some of the most enthusiastic car journalists in the business, we issued a challenge to several teams: Take a Tata Bolt across South Africa (a total of 2100km), using only 120 litres of petrol. 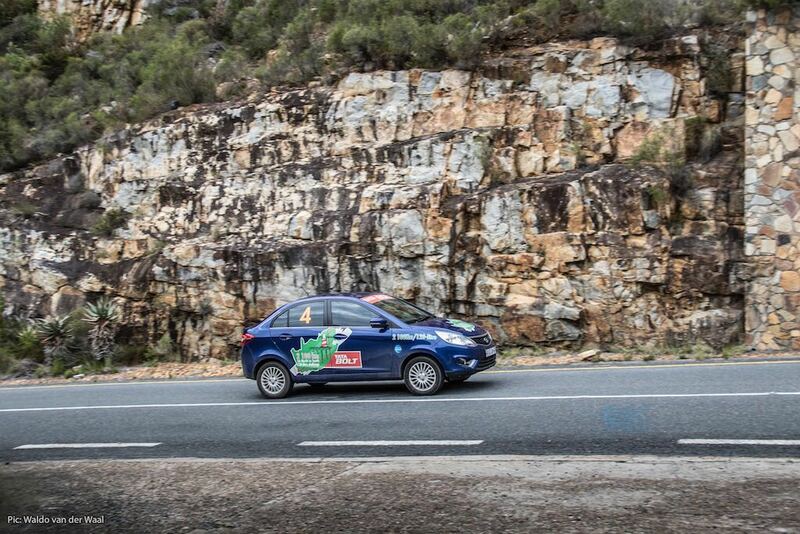 Several fearless teams heeded our call, and on the 15th of August, the Tata Eco-Challenge kicked off. We weren’t messing around when we selected our intrepid explorers! 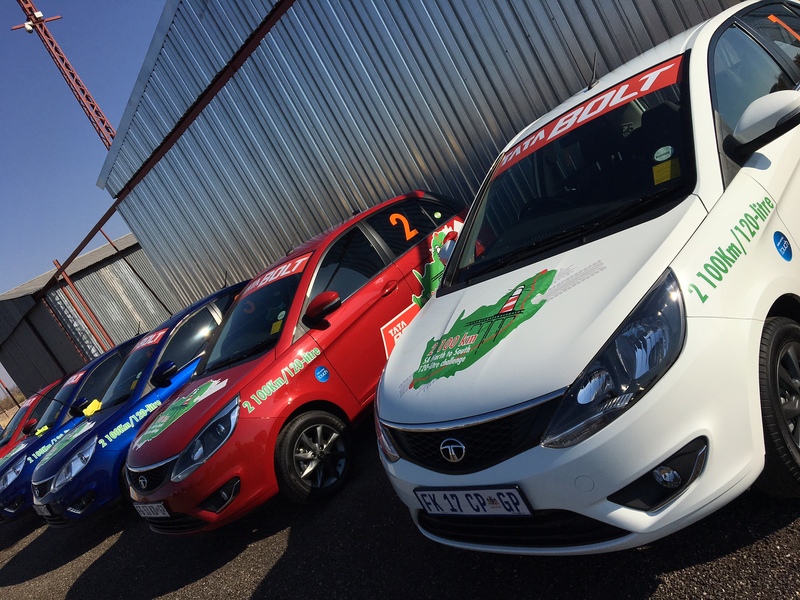 All team members are experienced motoring journos and passionate drivers themselves – who better to put the Tata Bolt to the test in a long distance Eco-Challenge? 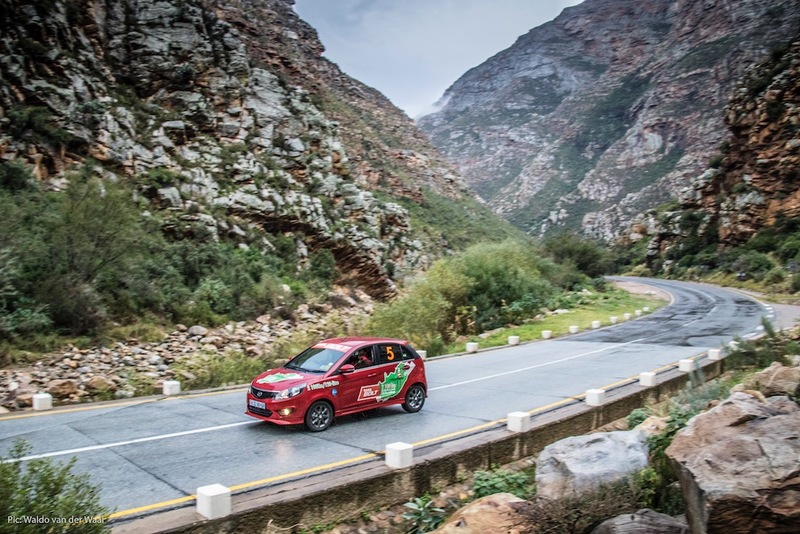 It just wouldn’t be a proudly South African road trip unless we took advantage of ALL the various terrains our beautiful country has to offer. So we calculated the route to give our drivers a better idea of not only the Bolt’s fuel efficiency, but its comfort and performance as well. To accurately measure fuel efficiency, we decided to measure each team’s rate of petrol consumption after each of two stops to fill up their tanks. 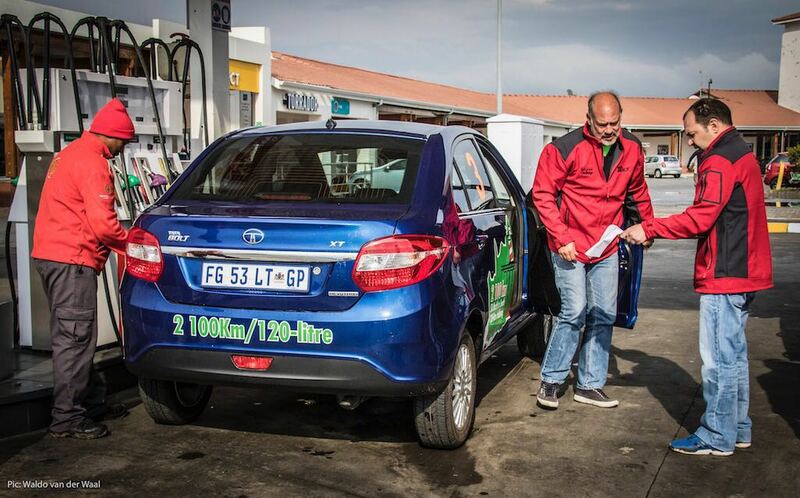 The first fill-up happened on day 2 of the Eco-Challenge, and all teams showed some very impressive fuel consumption (measured in litres per 100km). Every team took a different strategy, with some trying to hitch-hike on the slip-streams of any trucks they could sneak up behind, and some staying in the slow-lane to make every drop of petrol go the distance. 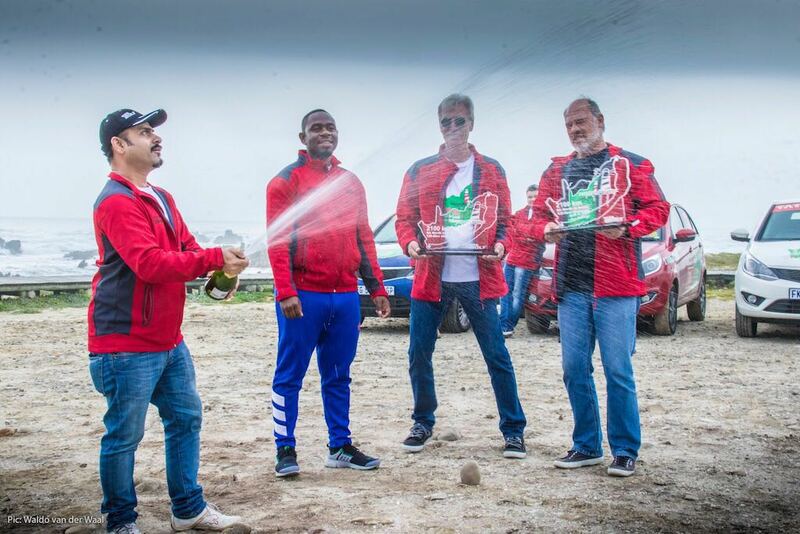 At the end of this gruelling cross-country challenge, Wynter and Ferdi won the Eco-Challenge with an average fuel consumption of 4.58 litres per 100 km. Amazingly, the top three teams were able to complete the challenge with less than 100 litres, 20 litres shy of the allotted 120 litres, and all finished well within the 120 litre allowance. Our verdict? 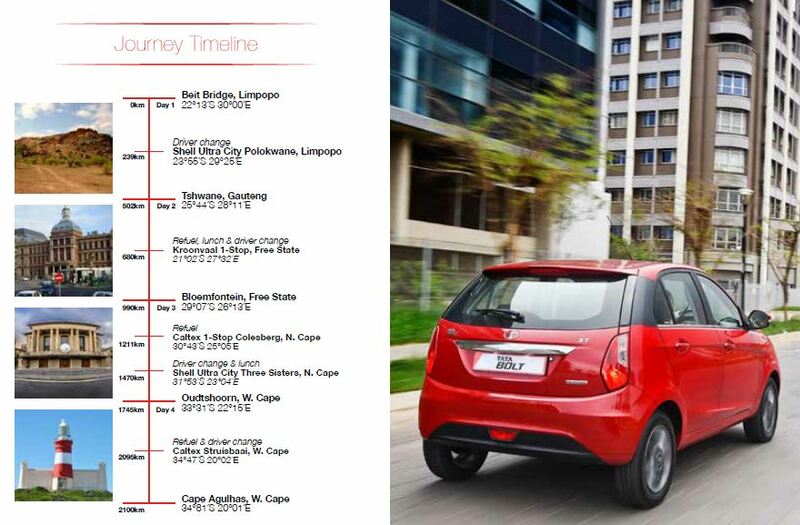 It definitely pays to drive a Tata Bolt! 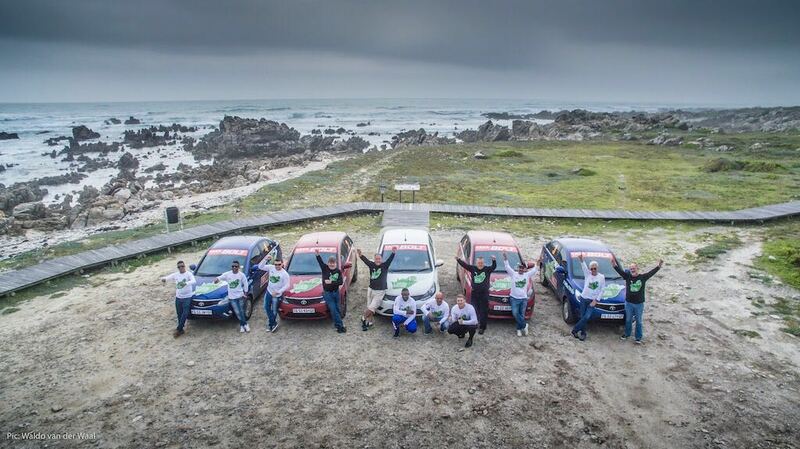 Every team raved about the comfort and zippy performance the car delivered, and all were pleasantly surprised at just how easy it was to complete the Eco-Challenge with petrol left to spare. We think we may need to organise another cross-country contest sometime soon and make it even more challenging! We’re confident that the Tata Bolt will be more than up to the challenge.